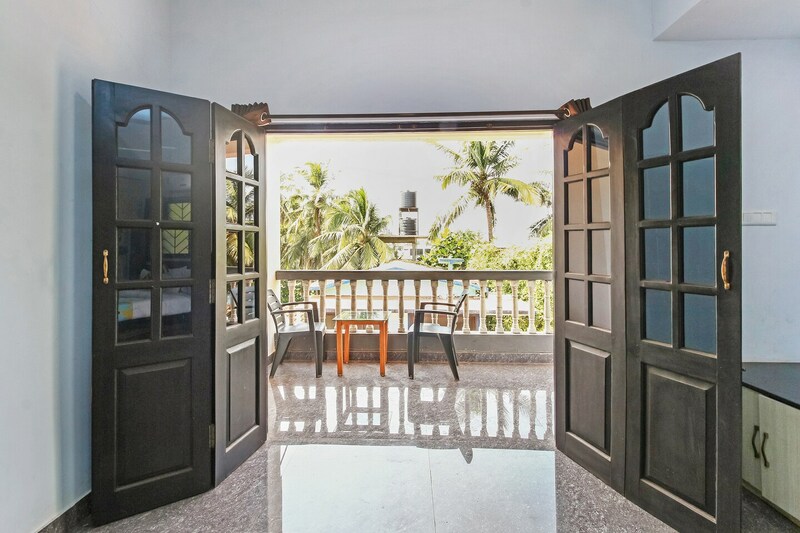 OYO 13298 Home Luxurious Studio Calangute is ideally located in the heart of Goa. A perfect choice for the business and leisure travellers, the hotel offers quality comfort at unbelievable prices. For any kind of assistance you need in relation to your stay, our skilled and friendly staff is just a call away. Laze on the beach or explore Goas colonial charm, as you visit Church Of St Alex Goa, Casino Palms and St. Cajetan Church. Dont worry if you get short on cash, as there is Corporation bank Atm, Axis Bank ATM and Yes Bank ATM located at a walkable distance.